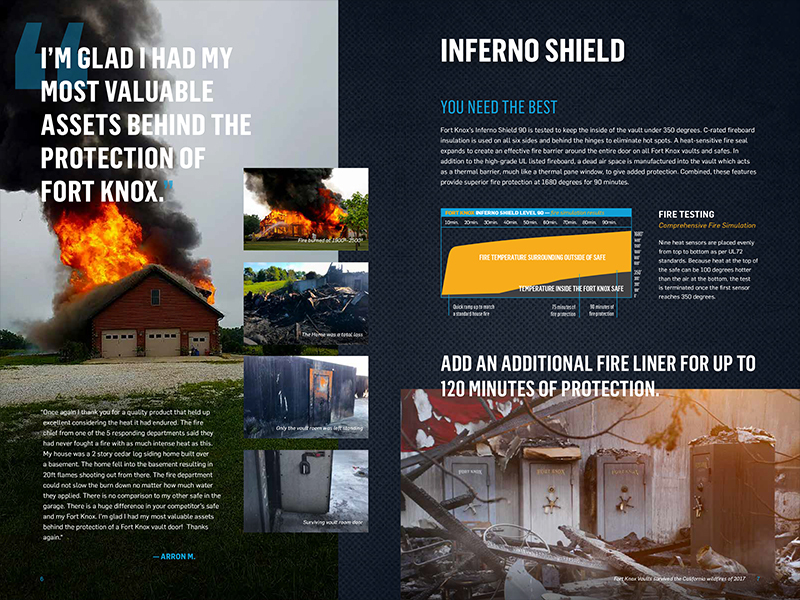 Fort Knox came to us looking for help as their previous agency had failed to deliver a solution for their online vault builder. After a few initial meetings, I got to work designing a solution. 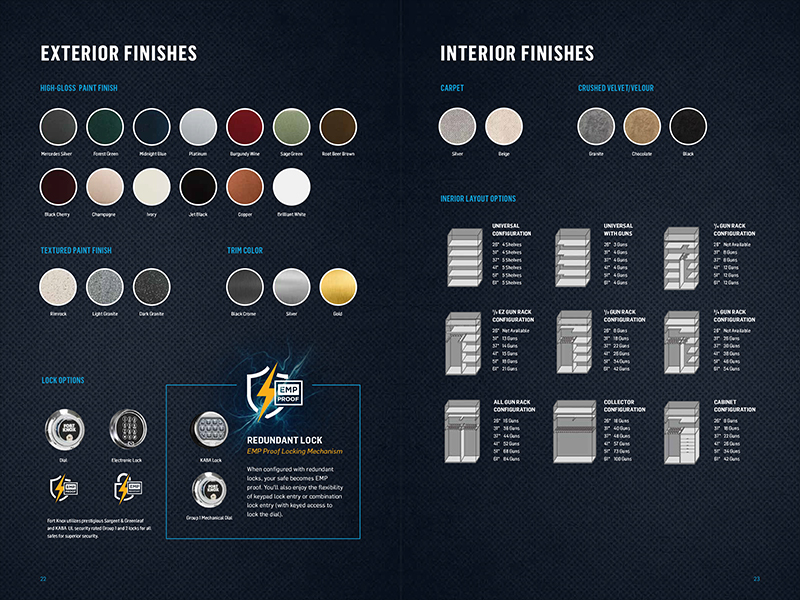 The vault builder allows the customer to configure the safe that best fits their needs, rather than just settling for a pre-packaged vault. 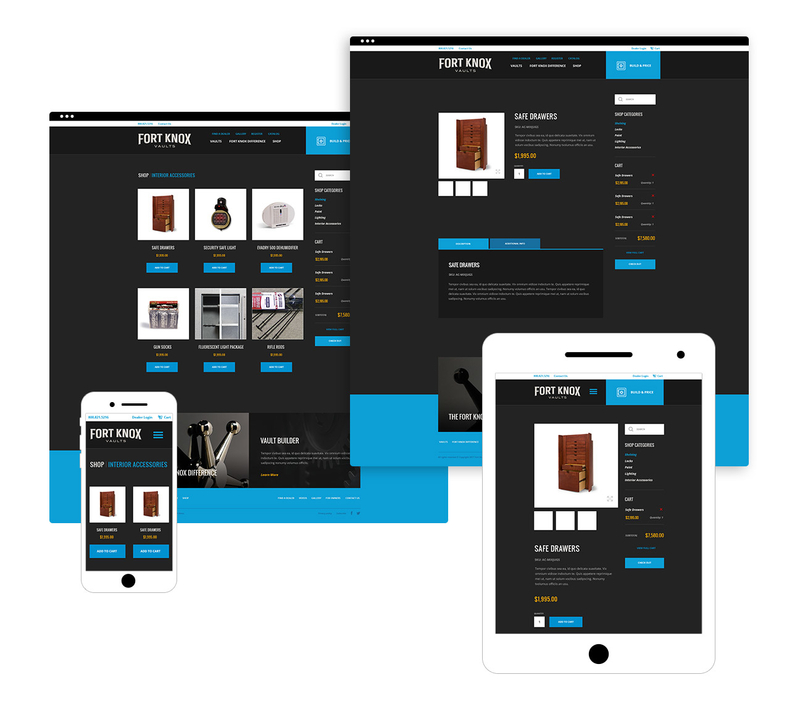 They can custom build a safe by selecting their perfect options, security, and aesthetic. 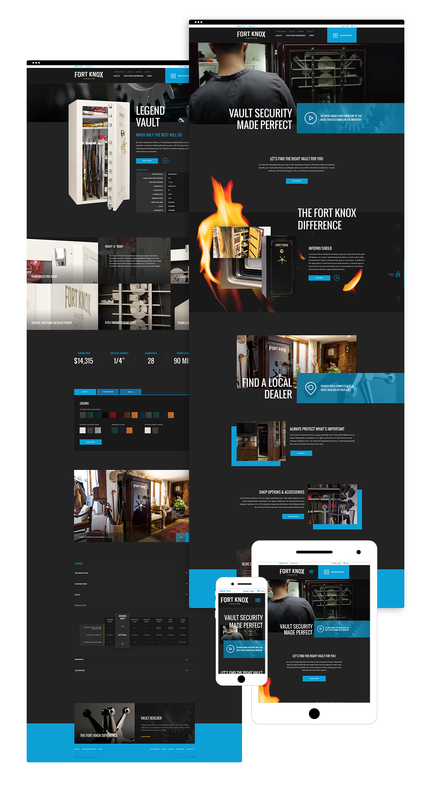 In conjunction with the development of the vault builder, I worked on a complete overhaul of their website. 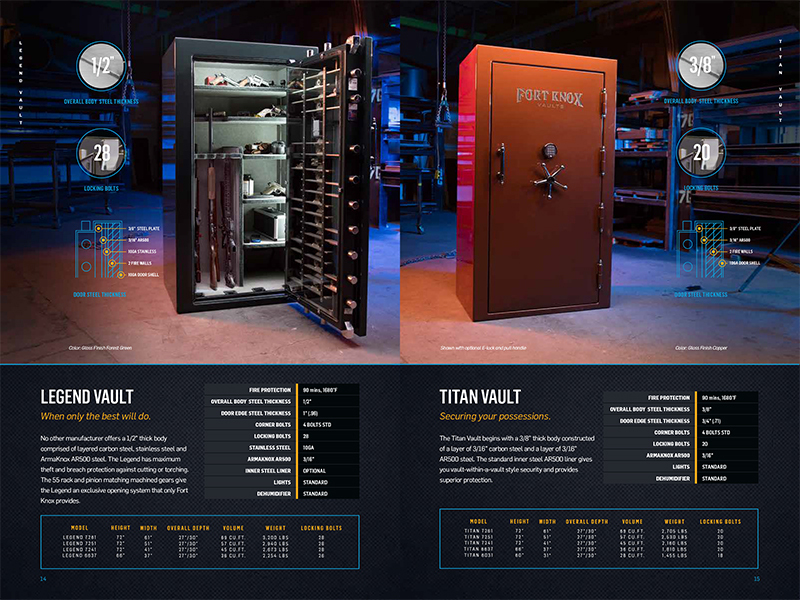 Employing a cohesive solution that highlighted key features and differences that make Fort Knox a brand that stands apart from other vault manufacturers. 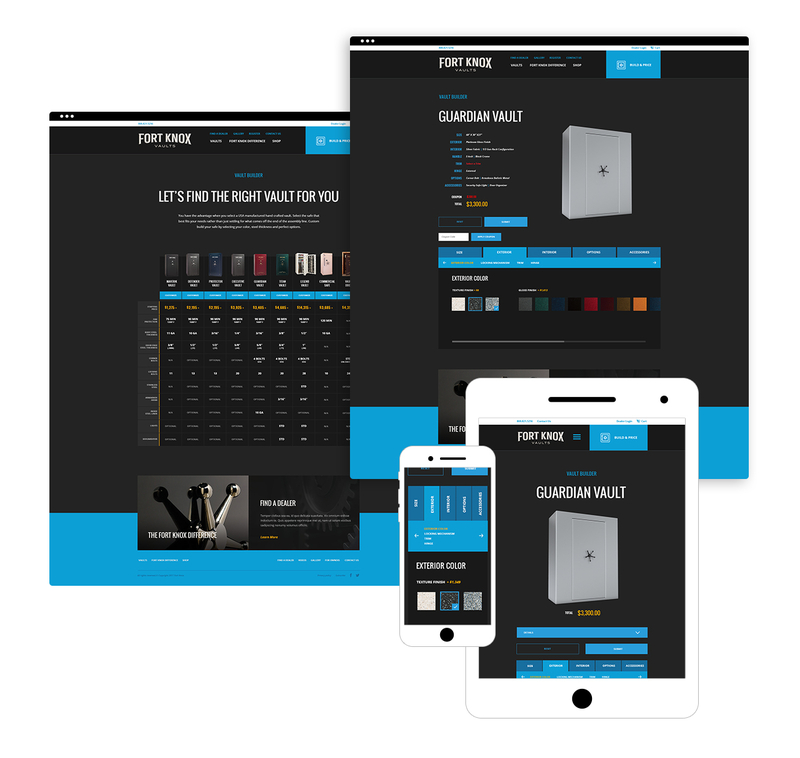 Modeled on the new look and feel of the website design, I designed the 2018 product catalog for Fort Knox Vaults. 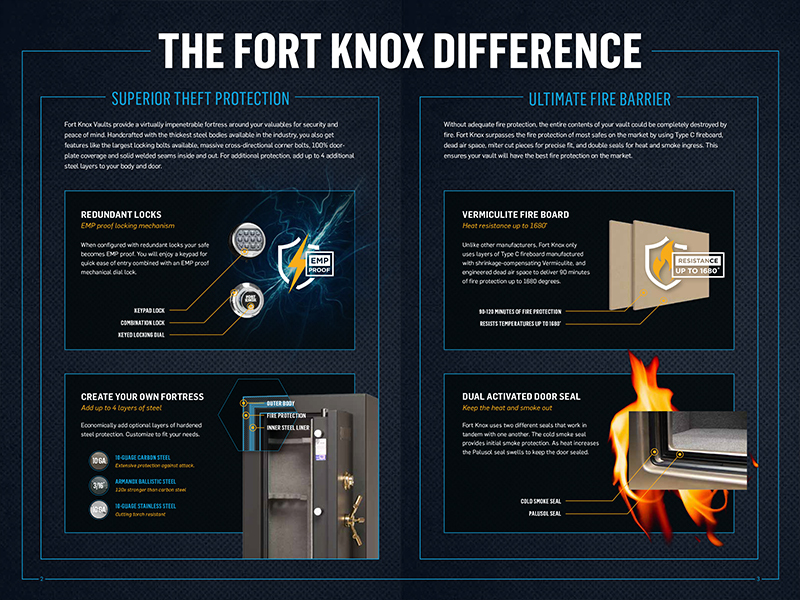 Extending the visual identity of the brand with a new photo shoot of their complete product lineup, using warm/cool color lights in an industrial manufacturing setting, to further differentiate the Fort Knox brand.